Business credit cards are useful tools for saving thousands every year. You can get more out of your business expenses by using a credit card with rewards like hotel stays, cash back, and valuable discounts. 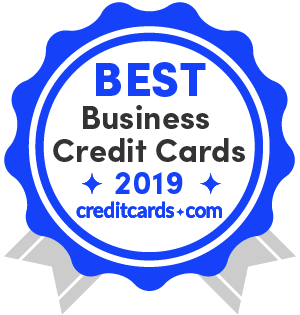 We analyzed 368 business credit cards to find you the best offers - here are the 10 best business credit cards from our partners. If you’re a small business owner, you probably don’t have time to sort through a laundry list of business cards and complicated rewards schemes. But if you’re looking for the right card for your business heading into the 2019 fiscal year, it pays to sweat the details. A good business card can help you invest more in your company, smooth out fluctuations in your monthly cash flow and build a better credit score for your business. It can also help you organize your expenses and monitor your employees’ spending. What is a good credit rating for a business? Whether you want to understand more about how to properly use a business card or how to build business credit, we can help. Business credit cards are designed for business use rather than private individuals who have cards for their personal use. They are often used to build a company’s credit history, improve its cashflow and keep business expenses separate from personal charges. Business credit cards are a powerful tool to organize expenses, earn rewards, and save on interest payments. Even if your business's spending is modest, choosing the right business credit card can save you large sums of money each fiscal year. Of the 368 business credit cards we analyzed, we hand-picked 40 cards for in-depth individual reviews. Some 28 out of these 40 business cards in our reviews database include a points- or miles-based rewards program – 4 for airline miles, 3 for hotel points, and 21 are general rewards cards. Cash back cards constitute 12 out of the 40 business credit cards. As far as bonus categories for spending go, "travel and transportation" is by far the most common bonus category among the cards in our review set, with 17 of 40. Flat-rate rewards cards are also very common, constituting 13 out of the 40 cards in our review set. Most of our favorite business cards offer generous sign-up bonuses after required spends in the first 3 months of card membership. That means if you get a business card the beginning of 2019, you can earn a bonus the first quarter of the year, then use it in numerous ways to benefit your business. Even with no annual fee, the Ink Business Unlimited has a nice sign-up bonus of $500 after a $3,000 spend within the first 3 months of card membership. At 1.5% back on all purchases, you can get better rewards on everyday business expenses with The Blue Business Plus. The recently revamped BofA Business Advantage Cash Rewards Mastercard offers an online statement credit bonus of $300 after you spend $3,000 in net purchases within the first 90 days. The regular rewards have also been enhanced: in addition to 2% cash back on dining, you'll be able to choose one of 6 categories to earn 3% cash back: gas stations (default), office supply stores, travel, TV/telecom & wireless, computer services, or business consulting services. The 3% and 2% cash back apply on the first $50,000 in combined purchases each calendar year; it's 1% thereafter. To top it all off, you could earn up to 75% bonus on your rewards based on your banking relationship with BofA. Larger businesses may want to look at business credit cards, such as the Ink Business Preferred, that offer higher sign-up bonuses. The sign-up bonus is quite large at $500 for spending $4,500 within your first 3 months. This is accompanied by very strong rewards of 2% unlimited cash back on all your purchases, which could add up to huge savings for any business. There is a $95 annual fee, but it is waived the first year. Also, the regular APR of 19.24% (variable) is high. This card has the rewarding sign-up bonus of the Ink Business Unlimited – $500 after a $3,000 spend within the first 3 months of card membership. Also, the tiered categories are excellent, with 5% back on the first $25,000 in combined purchases at office supply stores and internet, cable and phone services each anniversary year, as well as 2% back on the first $25,000 in combined purchases each calendar year at gas stations and restaurants. Unfortunately, the ongoing rewards are limited in how much you can benefit because of the maximum spend. The Capital One Spark Miles for Business is great if you are looking for bonus miles – you can earn 50,000 miles after a $4,500 spend within the first 3 months. There is no foreign transaction fee, which makes it a suitable card for international business trips. You'll earn 2 miles per dollar on every purchase, up to an unlimited amount of points. There's a $95 annual fee (although it is waived the first year) and the regular APR is a high variable 19.24%, making it not a good choice if you plan to carry a balance. With a hefty sign-up bonus of 80,000 points after a $5,000 spend within the first 3 months, this is a stellar business card. And those 80,000 points are worth $1,000 toward travel when you redeem through Chase Ultimate Rewards. Unfortunately, the $95 annual fee is not waived, something you'll want to factor in when considering this card. This card's 1.5% cash back on all purchases rivals that of the Ink Business Unlimited, and it has no annual fee. Also, the cash back is unlimited, unlike the Ink Business Cash and the Ink Business Preferred. The Capital One Spark Cash Select's sign-up bonus is only $200 after a $3,000 spending within the first 3 months, $300 less than the Ink Business Unlimited's sign-up bonus, which is $500 after a $3,000 spend within the first 3 months. With this business card, there's no annual fee or foreign transaction fee, and you can earn 1.5 miles on all purchases, as well as a 20,000-mile sign-up after $3,000 spend within the first 3 months. The sign-up bonus isn't as generous as other business cards and you can get higher purchase rewards with tiered offers, so there are better options for large purchases. Earn 5% back on the first $50,000 spent at wireless telephone services purchased directly from U.S. service providers and U.S. office supply stores, as well as 3% back from a choice of 8 categories for up to $50,000. Also, enjoy a 0% intro APR offer for 15 months on purchases, 14.49%-21.49% variable after that. Although the ongoing rewards are excellent, there's no intro bonus with the SimplyCash Plus. There's also no 0% intro APR offer for balance transfers. The sign-up bonus is creative and generous, with 40,000 miles and Alaska's Famous Companion Fare from $121 ($99 fare plus taxes and fees from just $22) after a $2,000 spend within the first 90 days of card membership. Then each anniversary, earn another Famous Companion Fare, as well as 3X miles for every dollar spent directly on Alaska Airlines. The annual fee is $75 at minimum ($25 for each additional card), and it's not waived the first year. You may assume that you have to be the owner of a business with multiple employees and an office or store front to apply for a business credit card, but that simply isn’t true. Anyone who owns a side business – such as baby-sitting, yard maintenance, blogging or consulting – that makes money (or possibly doesn’t even have an income yet) can potentially qualify for a business card. You’ll need to supply your EIN – the number issued by the IRS to people who have a business located in the United States or U.S. territories. If you’re an individual proprietor without an EIN, you can use your Social Security number instead to apply. You’ll need to supply some basic information about your business: The name of your business (or your personal name, if you’re a freelancer), the type of business (partnership, corporation or sole proprietorship), your role in the business, your business address and phone number, how long you’ve been in business, your number of employees, your annual business revenue and your estimated monthly spend. You’ll need to include your personal details on the application as well, including name, address, contact information, Social Security number, birthdate, mother’s maiden name and household income. Unless you own a substantially sized business (and sometimes even when you do), you’ll probably be asked to make a personal guarantee on your business credit card application, stating that you are personally responsible for repaying your card debt. This means that, if you stop making payments on the card because the business fails, the bank can come after you personally to recover the debt. Pay down your existing card debt about 30 days before applying for a new card. When applying, be sure to list income before taxes, and include income such as pension, alimony and rental income. Having a good personal credit history is the main factor for getting accepted for a business credit card. If your credit score isn’t good, you need to work on building your personal credit before you apply. Don’t make up fake revenue for your business hoping to push your application through. If the bank double checks on your application and finds your application isn’t accurate, you could get rejected. If you already have a relationship with the bank, you have a greater chance of getting accepted for one of their business cards. Start a checking account for your business with the bank and then try applying for one of their cards. Credit cards are among the most popular forms of credit for business owners – in fact, it is the most popular among those not applying for a line of credit. Some 44% say they regularly use cards, with the second most common being a loan or line of credit at 38%, according to the Federal Reserve's 2017 Small Business Credit Survey. What types of rewards are you interested in? The next step is to figure out your preference for rewards. With fiscal year 2019 ahead of you, plan how you'll be spending in the next year. Will you be buying office furniture? What about jumping into online advertising? Do you or your employees travel often for business, and are you loyal to a particular airline or hotel? You might consider signing up for a cobranded airline or hotel card, which can be extremely rewarding for dedicated customers. Or, if you want more flexible redemption options, you might consider a flexible points card, such as the Chase Ink Business Preferred card. If you’re looking for simplicity, a cash back card is probably your best bet – you can redeem your cash back as statement credit or have it deposited into a bank account without having to worry about how to use rewards points. What types of spending do you do? If you spend a lot at office supply stores, you might look at Ink Business Cash, which offers 5% on the first $25,000 spent at office supply stores and internet. If you host a lot of client lunches, you might look at a card like the Bank of America Business Advantage Cash Rewards Mastercard, with 2% back at restaurants. If you travel often, you should look at a card like The Business Platinum Card from American Express, which offers 5X points on flights and prepaid hotels on amextravel.com. Or, you may earn a higher rewards rate by choosing a flat-rate card that offers the same rewards rate on every purchase, such as the Capital One Spark Cash for Business. You’ll need to do the math to decide. How will you pay off the balance? Consider the amount that you’re likely to charge each month, and whether you’re assured of paying your bill off at the end of the month. If you need the flexibility to make very large purchases, you might choose a charge card, which doesn’t impose a credit limit. If you’re likely to carry a balance at all, you might want to steer clear of a charge card because you can incur a stiff penalty for not paying off your bill, although American Express now has a program that allows you to pay over time if you qualify. And, if you think you’ll need more flexibility in paying off your balance, you might look for a card with a more flexible deadline. Here, we dive a little deeper, comparing the Capital One Spark Cash with the Chase Ink Business Cash. First, we look at rewards value, then at other features. For example, in the following table we calculate the rewards earnings for a cardholder who spends $48,000 on a card in a year, with 6 percent of their spending allocated to office supplies, internet, cable and phone services ($2,880); 12 percent to dining out ($5,280); 11 percent to gas station purchases ($5,760); and 71 percent to other types of purchases ($34,080). You should also take a look at the cards’ other features before you decide which one to go with. For instance, you need to consider how easy it is to earn and redeem rewards with the cards. As you can see from our example, a card with an annual fee can often be a great value, depending on your spending habits and whether you’re likely to use all the features. But who says you have to choose just one business rewards card? Signing up for multiple rewards cards and juggling them to earn extra points in the cards’ bonus categories can be a great way to maximize your rewards. Since business cards aren’t regulated by the CARD Act, you should take a close look at your card’s terms and conditions and monitor any changes to terms and conditions that come in your email. Keep an eye out for changes in interest rates, due dates or fees. Don’t put your personal spending on your business credit card. Mingling your expenses makes it harder to track your business spending. Plus, it can make you personally liable if someone sues your company. Make 2019 the year to get a handle on business expenses. Use your credit card’s expense reporting features to keep close tabs on your spending. Look for opportunities to cut expenses. Keep in mind that business cards come with high credit limits – usually of $50,000 or higher – which makes them ideal for making large purchases. Some cards, such as the American Express SimplyCash Plus card, even allow you to exceed your credit limit when you need to make a large purchase. Figure out ahead of time what your cash flow is going to be through the month. See if you can negotiate your due date with your credit card issuer so that it falls on a date where you will have funds to pay off your balance. Make large purchases right after your statement closes so you have plenty of time to repay the balance. Make sure you have a plan in place to repay the amount that you borrow against your credit line, so you can pay it off quickly and avoid high interest fees, penalties or possibly incurring a debt you can’t afford to repay. Avoid carrying a balance past the due date if you can, since the interest can be very costly. Purchase equipment with your credit card to extend the card’s purchase protections to it. You can possibly save yourself a lot of money if the price goes down, or your equipment malfunctions or gets lost or stolen. You’ll find the usual purchase protections on your business credit card, including insurance against theft and damage for items purchased with your card, extended warranty, price guarantees and the ability to return any item within a designated time frame for a full refund. Many business credit cards include programs – such as VisaSavings Edge, Mastercard Easy Savings and American Express – that give you a small discount with a select list of merchants. The number and variety of merchants varies greatly by program. You can get a significant savings if you happen to shop frequently with a merchant. Business credit frequently allows you to issue cards from your account to your employees – usually for free, but sometimes for a fee – and to set up individual limits for each card along with account alerts to help you keep a close eye on your employees’ card use. If you or your employees do a lot of traveling for your business, you may be able to make good use of the travel protections that frequently come on business credit cards. Travel protections often include trip cancellation insurance, travel accident trip delay insurance, insurance for lost and delayed baggage and car rental insurance. Take advantage of all the features your issuer offers to simplify your account management. Set up automatic alerts for your card and your employees’ cards, set up autopay to make sure you meet your payment due date and link your account to your accounting software so you can easily download all your expenses. Most business credit cards come with expense-tracking features, such as apps that allow you to snap photos of your receipts and file them on the go, spending reports, yearly summaries and the ability to designate an account manager to manage it all for you. If you do happen to incur interest from carrying a balance on a business credit card, be sure to note it on your tax form – it counts as a business expense. Leverage your business purchasing to earn rewards for yourself. Link all your bills to your credit card account (but first make sure they don’t charge finance fees). Also, keep an eye for purchases that can earn extra rewards in a bonus category, such as dining or office supplies. Instead of reimbursing your employees for their purchases, give them employee cards through your account and encourage them to use them for every business-related purchase so you can earn the rewards from their purchases. However, establish clear rules on how employees can use their cards. Rotate your credit cards so that you can earn extra rewards in all their bonus categories. Make sure to pay your bill in full and on time, so that interest rates and penalties don’t eat into your profits or nullify your rewards. Business rewards cards tend to carry high interest rates, so you need to especially careful not to carry a balance. You can use online shopping portals such as Ebates and Swagbucks to earn extra cash back on top of your card rewards. You can also earn bonus rewards by through an issuer’s shopping portal, such as the Chase Ultimate Rewards mall. Some business rewards cards let you earn bonus points through partner merchants or travel partners. For instance, through the American Express program, you can opt to earn a 5 percent discount or 2 points per dollar on purchases made from a select list of merchants. Also, the Starwood Preferred Guest program has a few travel partners that offer bonus Starpoints to elite SPG members. Adding sticky notes to your cards to keep track of their spending categories, and using spreadsheets to track your payment deadlines and progress on spending thresholds can keep a lot of rewards value from falling through the cracks. Or download an app that tracks all this information for you. A checking account will help you establish your business as a financial entity. Be sure to use it responsibly – keep an adequate balance in it and don’t bounce checks. Register for a DUN number through Dun and Bradstreet to establish a credit history with them. For Experian and Equifax, establish a LLC so you can get an EIN and set up a phone line with a listed number. If some of your vendor accounts are not making it onto your credit report, you can use D&B’s Credit Builder service to provide positive payment information to your credit report. You can provide D&B with your vendors contact information, then D&B will contact them to verify your payment history. Unlikely though it may seem, building your personal credit score is one of the first steps to building a credit history for your business. A good personal credit score can help you acquire your first lines of business credit. Also, your personal credit history will likely be considered down the line along with your business credit history when you apply for additional loans. Before you’ve built up your business credit history, you can use your personal credit history to qualify for a business credit card. Your activity on the card should be reported to all the business credit bureaus. Use it often and be sure to pay your bill on time and in full each month. Consistent and prompt payments are the single most-critical factor in a business credit report. Diligently paying all your accounts on time will go a long way toward demonstrating your ability to manage loans. To make sure you can make your own payments on time (and minimize your need for cash flow), make sure your own customers paying you in a timely manner. Send out your invoices as soon as a service is performed and encourage your customers to pay on time. Shift your spending to your business accounts and pay off your balance in time to strengthen your company’s credit report. Request credit line increases on your existing accounts – this will improve your credit-to-debt ratio and thus your overall credit score. Credit scoring for businesses is a bit different (and more complicated) than scoring for consumers. Personal FICO scores range from 300 to 850 while business credit scores use different scales. There are three primary business credit score bureaus and they all structure their ratings differently. Paydex score – An indicator of the timeliness of your payments. The score ranges from zero to 100. A score above 80 indicates payments made within terms. Commercial credit score – Shows the likelihood of a severe delinquency on your bills in the next year. The score ranges from 101 to 670, with a lower score representing a higher probability of a delinquency. A score above 450 is good and above 482 is excellent. Financial stress score – Predicts the likelihood of your business failing within the next year. The score ranges from A score above 1509 is good and above 1570 is excellent. Credit information – Measures your delinquency risk based on positive and negative information in your credit file. The score ranges from 20 to 70, with lower scores being better. Payment index – Shows the timeliness of your payments to vendors and creditors. The score ranges from zero to 99. A score lower than 30 (i.e., your payments are usually made in the first 30 days) is best. Commercial delinquency score – Shows the likelihood of a severe delinquency on your bills in the next year. The score ranges from 101 to 992. A higher score is better. Business failure score – Predicts the likelihood of your business failing in the next year. The score ranges from 1,000 to 1,610. A higher score is better. Business credit score – A comprehensive rating of your creditworthiness, based on your credit history, including balances and outstanding loans, payment habits, whether you have any liens against you, judgments or bankruptcies against your business and the size and age of your business. The score ranges from zero to 100. A score higher than 50 is good. Heads up that business credit cards typically aren’t recorded on your personal credit report unless your account becomes seriously delinquent – but it depends on the issuer. Capital One, for instance, does report all the activity on your business cards to consumer credit bureaus, but Bank of America does not. A business credit card can substantially boost your business credit history. By putting small charges on your card each month and paying them off, you can create a record of timely payments for your business. Keep in mind that if your business fails and you end up with a credit card balance you can’t pay off, you might be personally responsible for paying your business credit card off. Note, if you are intending to apply for a business credit card, you’ll also need to look at your personal FICO score, since card issuers use your personal credit history to determine your credit worthiness. A FICO score of 700 is considered good, while 750 and above is considered excellent. Credit cards have a preset spending limit, which you are not allowed to go over without being penalized or having your card declined. Credit cards allow you to carry a balance month to month. You are charged interest on your balance if you don’t pay it in full starting from the end of your grace period, and you could owe a penalty if you don’t make a minimum payment on your balance. Charge cards penalize you if you don’t pay your balance in full at the end of the month. You will be penalized sharply if you don’t pay off the bill on your charge card at the end of the month – around 3 percent of total balance. Also, your issuer may suspend your credit. A charge card may be the better way to go for your business, since they offer more spending flexibility and they have less impact on your credit score, because there isn’t a debt-to-credit ratio. However, they can also be more difficult to qualify for. A business credit card may be the better option if you need a card with a lower barrier to entry and also if there’s a possibility you might carry a balance from month to month. Whether you are on the watch for business loans or travel business cards, the major banks' business programs are worth a look. Chase features one of the most robust arrays of business products through its cards, loans, banking, and merchant services. The 3 Chase Ink cards are the stars of the Chase business products, with bonus points or cash back and rich ongoing rewards. Rewards can be used toward cash back, travel, gift cards, and so on. There are also partner small-business cards with Southwest, United and Marriott, all with bonuses and ongoing points or miles. Those include boosted rewards for loyalty, such as 6X points on Marriott purchases, and Southwest Rapid Rewards Premier Business Credit Card offers 6,000 points every anniversary. Also offered are checking, merchant services and business lending. Available products, depending on your area, include Chase Total, Chase Performance and Chase Platinum. You can earn $200 back with qualifying activities. Not only does Chase make sure you can accept payments online, through mobile and everything in between, but the bank also offers the latest in security. Business lending offerings include business lines of credit, business term loans, SBA financing, commercial real estate financing and equipment financing. Small business and corporate cards abound with this brand, allowing you to earn rewards both from your own expenses and those of your employees. Manage expenses with Spend Manager and sync transactions with Connect to QuickBooks. There are also funding opportunities for cardmembers and merchants that accept the cards. For example, get merchant financing with fixed-fee, no-interest loans with funding up to $2 million. You can also request funding to pay vendors through Working Capital Terms, and get approved for collateral-free funding within minutes at fixed rates for up to $50,000. The small business options are endless with Capital One. There's Business Unlimited or basic checking, with up to a $1,000 bonus, and merchants can save up to 0.15% on processing fees. You can also get 1.75% APY for 12 months on Business Advantage Savings and up to $7,500 off closing costs on your commercial real estate loan (promotional rate will expire 365 days after account opening; upon expiration, standard interest rate in effect as of that date will apply to the entire balance). There's also Escrow Express, 401(k) solutions for your business and, of course, cards. The Spark cards offer a host of travel and purchase benefits, including purchase security; extended protection; save up to 15% at participating merchants through Visa SavingsEdge; travel and emergency assistance; and auto rental collision damage waiver. Also get a quarterly and year-end summary; employee cards at no additional cost; downloadable purchase records; and no foreign transaction fees. Business Advantage offers a plethora of business tools and options, including checking; credit cards; merchant services; and Merrill Edge for business and personal retirement planning. There are 5 business credit cards with this bank, including 3 travel business cards and a cash rewards card. You can earn a statement credit, cash back, points, or get a rock bottom variable APR for your balance transfers. For example, the Business Advantage Travel Rewards Mastercard offers 25,000 bonus points (when you spend $1,000 in net purchases within 60 days of your account opening). BofA offers merchant services by partnering with the Clover suite of point-of-sales devices. A wide variety of Clover point of sale products are available, such as Clover Go for food trucks, farmer's markets and other businesses without a storefront, or Clover Station for merchants who need business management solutions in addition to payment processing such as restaurants and retail. Our business credit card reviews can help you compare offers to find the one that best suits your needs.